If blogging about evil soda is wrong, then I don't wanna be right. 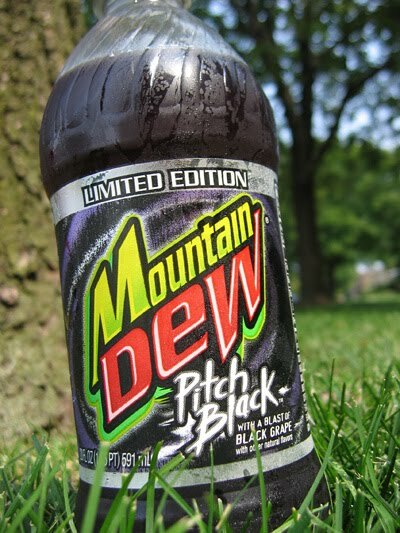 Mountain Dew first spawned this murky purple masterpiece back in 2004 around Halloween and have finally decided to resurrect the stuff in May of this year. Pitch Black is assuredly the Beelzebeverage of carbonated confections and I'll await its second coming with baited breath.